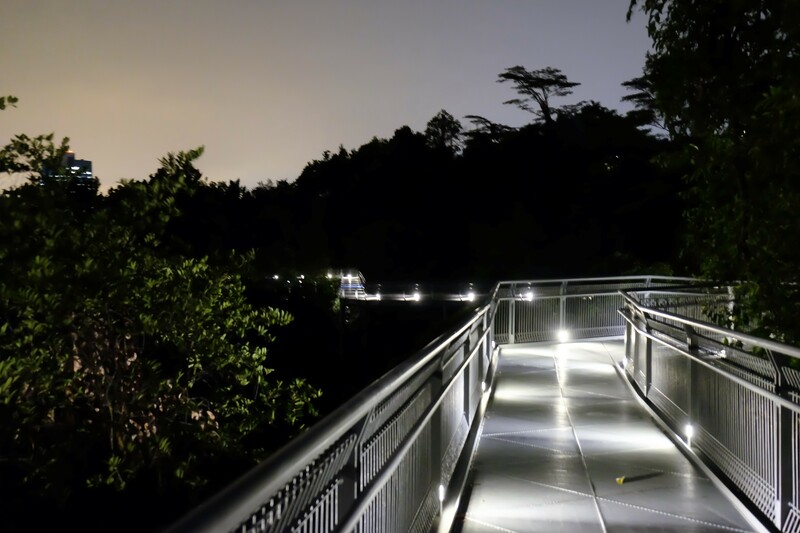 The Southern Ridges is a 9 kilometre trail linking several parks and hiking trails and extends from Harbourfront Station to Kent Ridge Station. 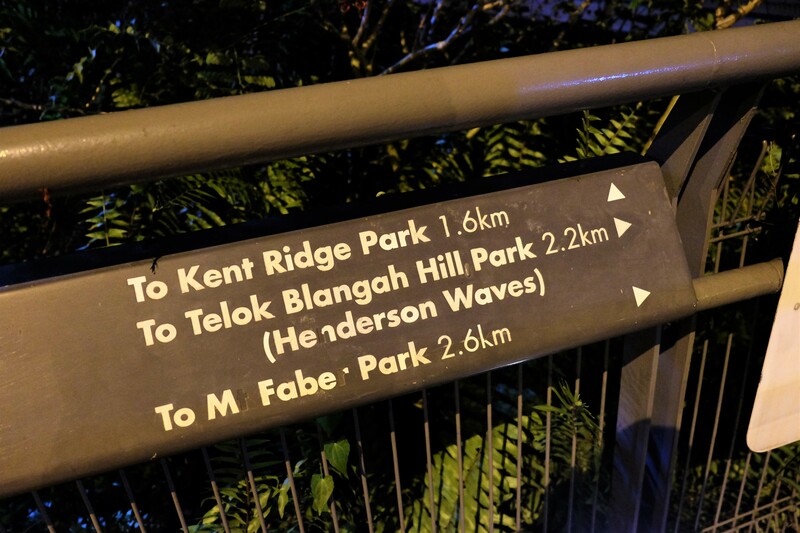 As much as we wished to complete the full trail, we decided to walk part of the trail, starting at Harbourfront MRT and ending at Labrador Park MRT. We started quite late in the afternoon (5pm) at the Marang Trail. We should caution that mosquitoes love to indulge in our homo sapiens blood, so we advise bringing some insect repellents and/or mosquito patches! Along the way we saw some colonial houses, and took the opportunity to bask in nature. 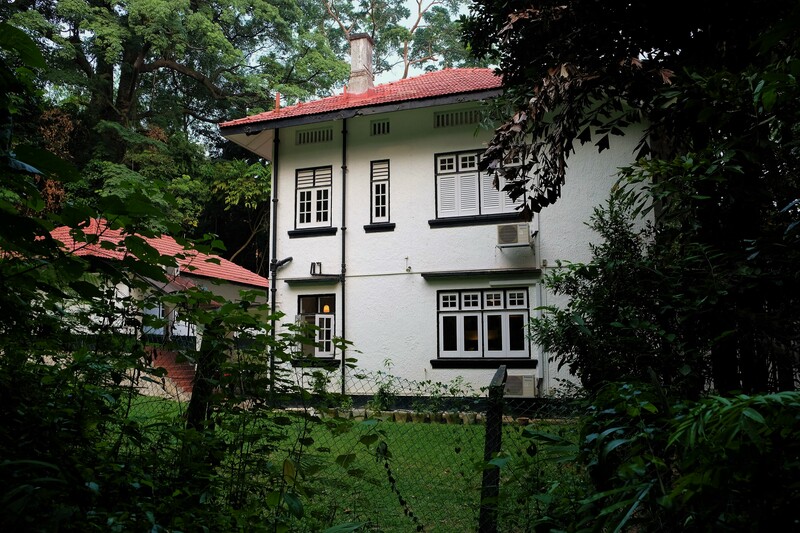 Saw a black-white British colonial house along the way! We think that someone still lives there as we saw some laundry haha. 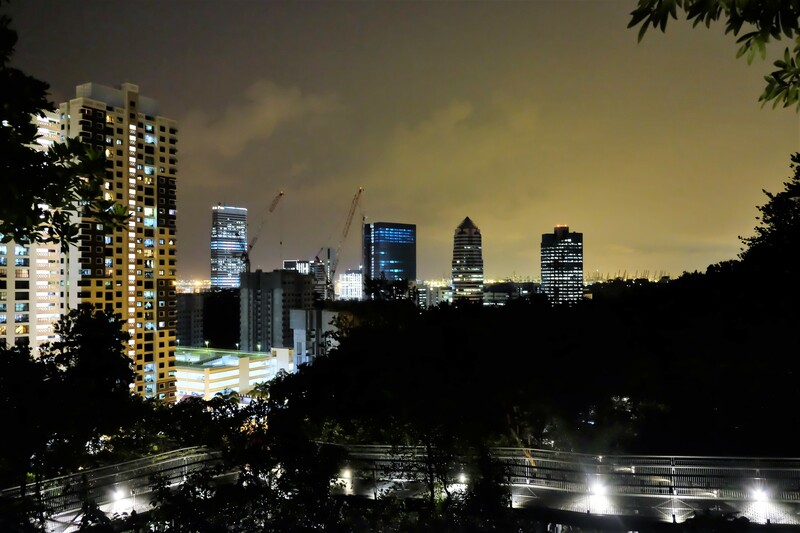 The trail led us to the top of Mount Faber, where we were presented with the opportunity to catch some of Singapore’s finer landscapes. This trail was the most interesting because we got to see a mini-Merlion, murals about Singapore, a Danish church and some breathtaking views of Central Singapore. 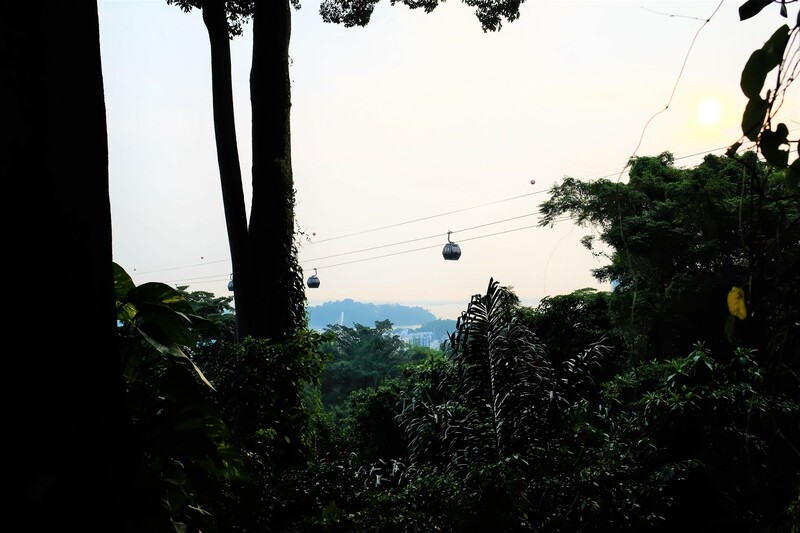 Mount Faber is connected to Sentosa Island via cable car (unfortunately a mode of transportation not enjoyed by many these days). 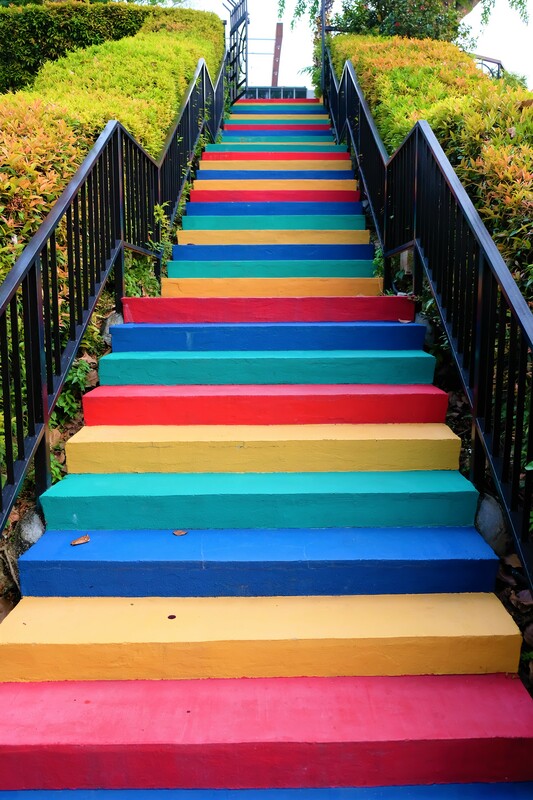 Coloruful stairway that leads to the cable car station! 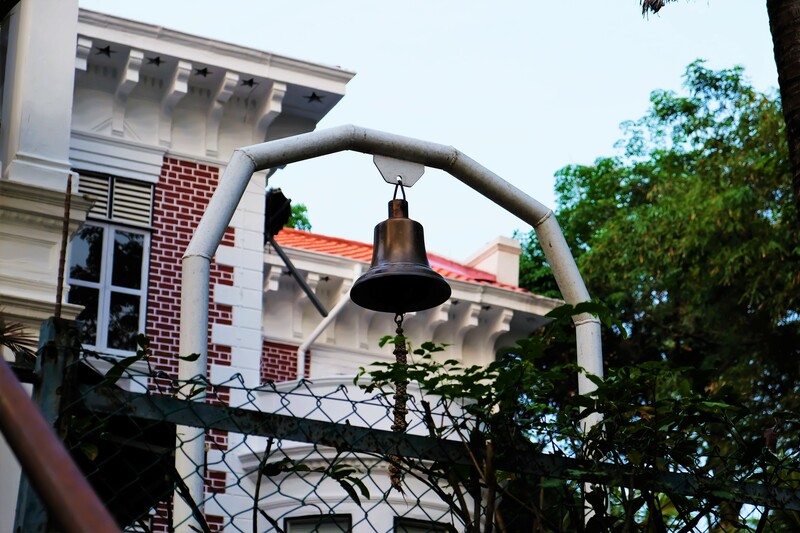 We took a winding path around Mount Faber and saw the Danish Seamen’s Church! 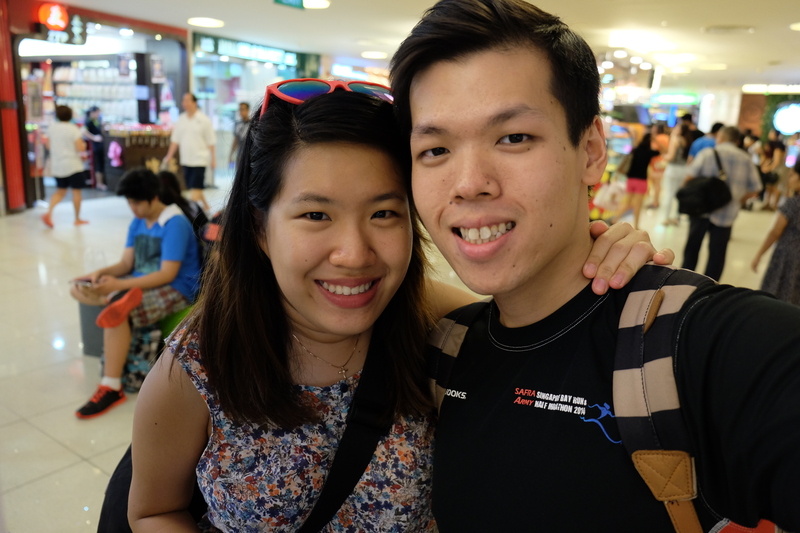 Instead of walking towards Henderson Waves, we took a detour towards the Merlion and Murals. 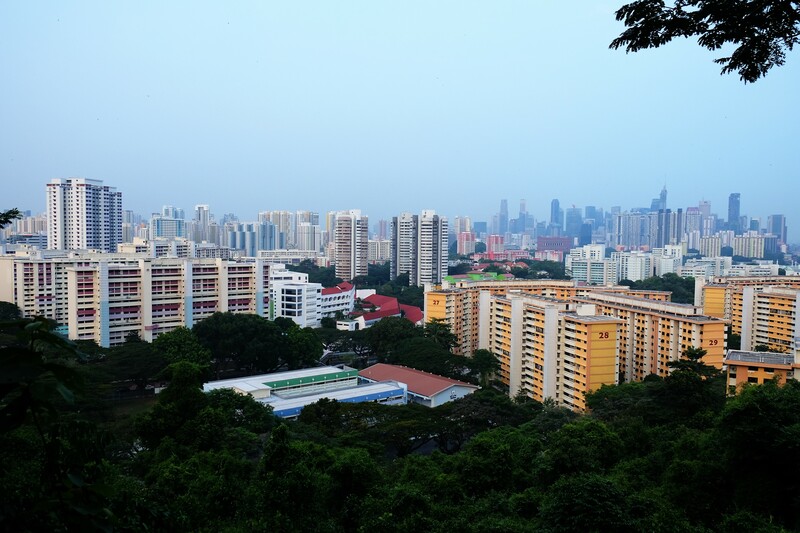 We stumbled upon the magnificent view of Telok Blangah Estate and the Central Business District. 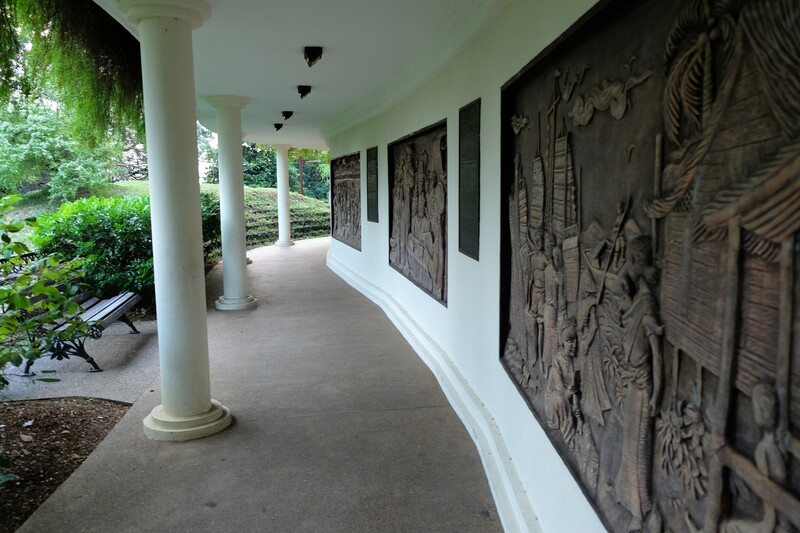 Here are some murals which tells the story of Singapore’s past, present, and the future! 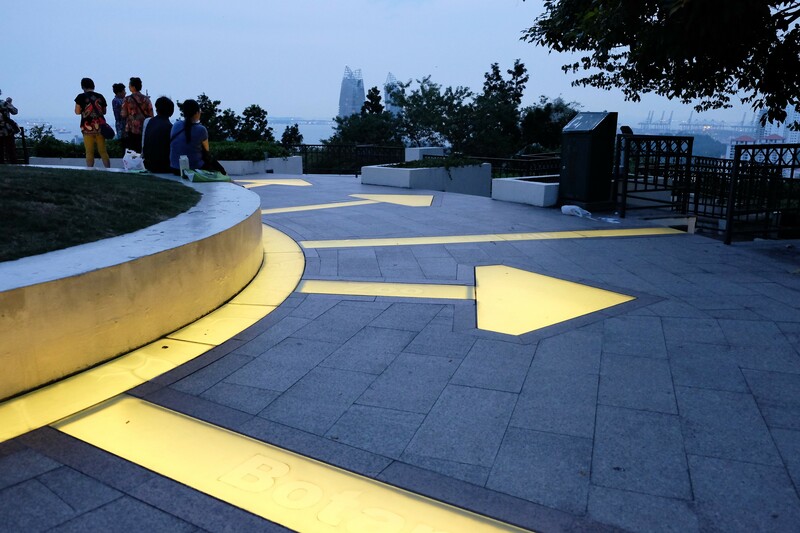 At the highest point of Mount Faber, one can see these lighted arrows that point towards different places in Singapore (eg: Botanical Gardens) and the SEA regions (eg: Bangkok). We thought it was really cool (& so was the weather by 7pm haha). We also like how the arrows are lit up at night! 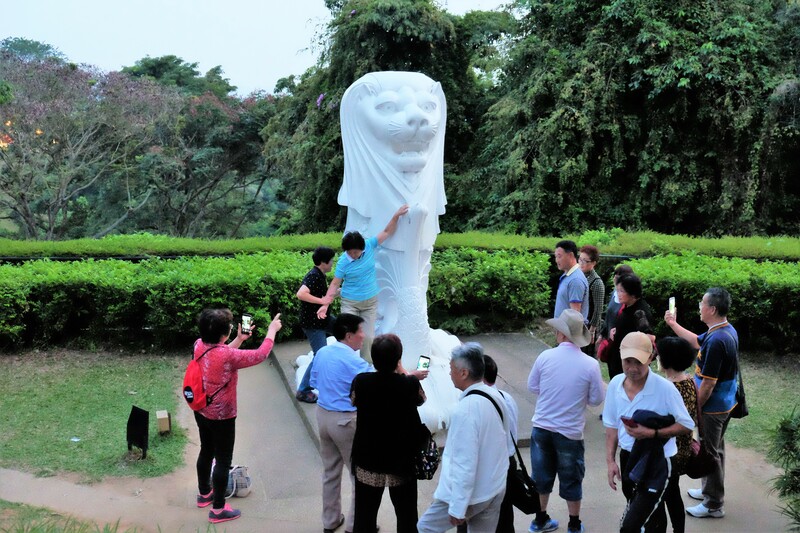 Tourists sure know how to pose with our belovevd baby Merlion! 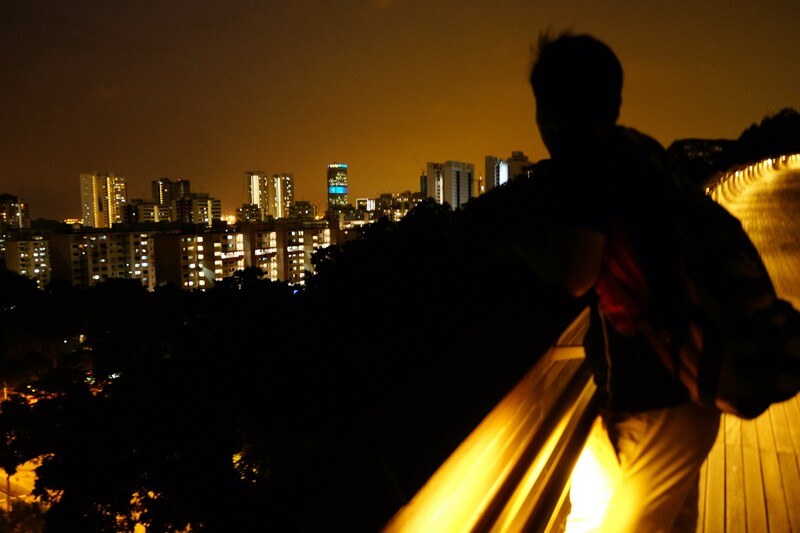 Beautiful night view from Mount Faber of the CBD area and the housing estates! 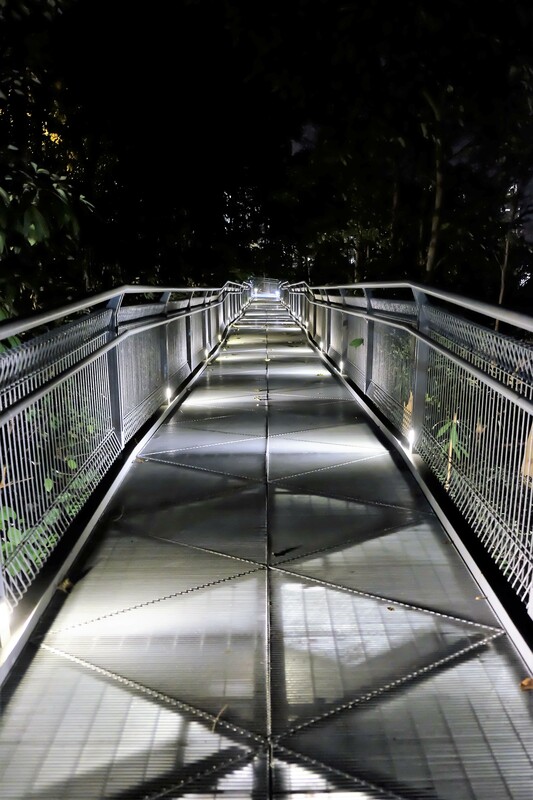 It was dark when we reached Henderson Waves; although people prefer to go there in the daytime, we enjoyed the mellow contrast of the bridge at night. Damian enjoyed the walk as it was his first time on the iconic walkway. We would definitely return next time (when the sun is up)! We saw this from the entrance of Henderson Wave. Damian loves the contrasting colours which evokes a tranquil environment (despite the humidity haha). 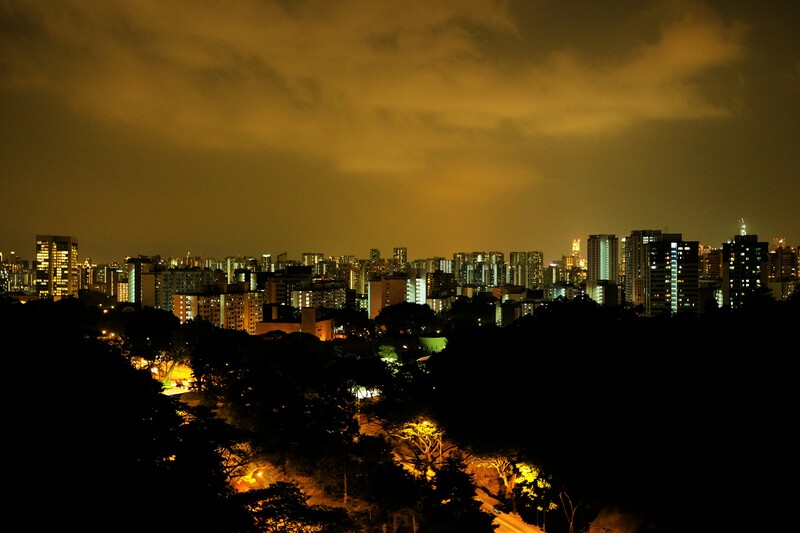 From the pathway, one can see the Singapore residential areas nicely lit up. 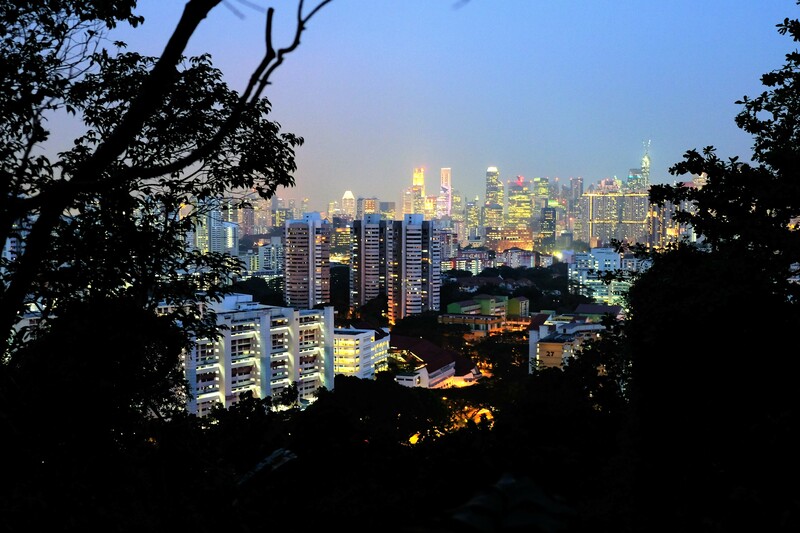 The picture brings up the contrasting perspective between nature and urbanised Singapore. We need more night shots like this! The next path was indeed one with nature; we walked amongst the treetops, enjoying the serenity that few travelled upon. 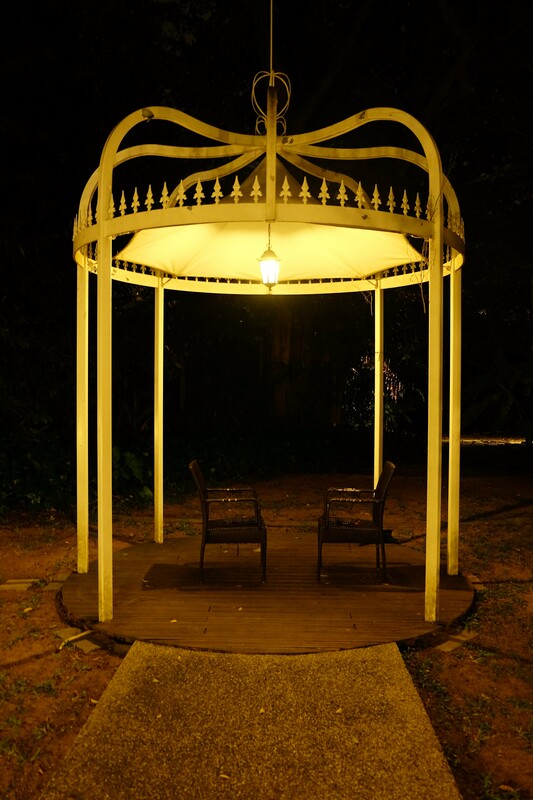 We found this beautiful Pavilion in the gardens of the The Alkaff Mansion! 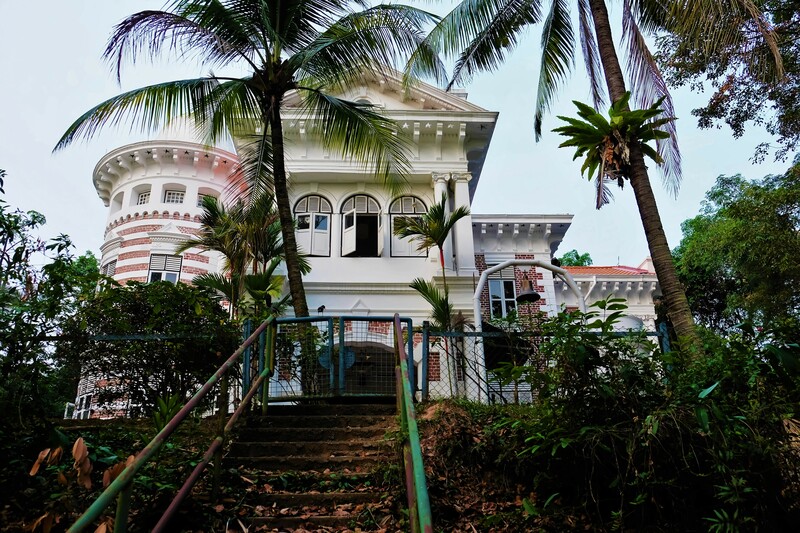 This mansion was abandoned by The Alkaffs after WW2, and was subsequently restored by the Singapore Tourism Board. 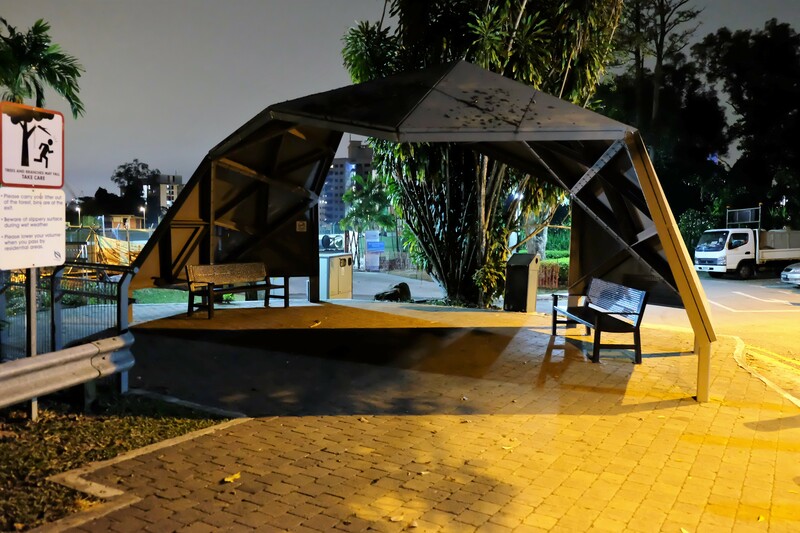 Architecturally-pleasing shelter! Fortunately we did not need it hehee. One of the many pathways along the treetop walk! Landscape view from the height of the Treetop Walk. 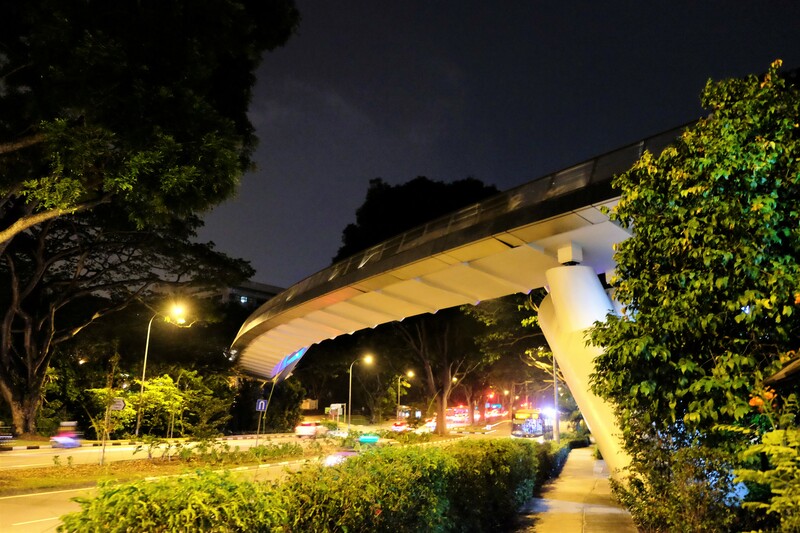 The Alexandra Arch can be found at the end of the Treetop Walk; that would have led us on to the Kent Ridge Trail (where the Flora Walk, Hortpark and the Canopy Walk can be found). However in view of time, we had to cut short and instead decided to head towards Labrador Park MRT, along Alexandra Road. Presenting the Alexandra Arch from below! Woah, we walked that far?! 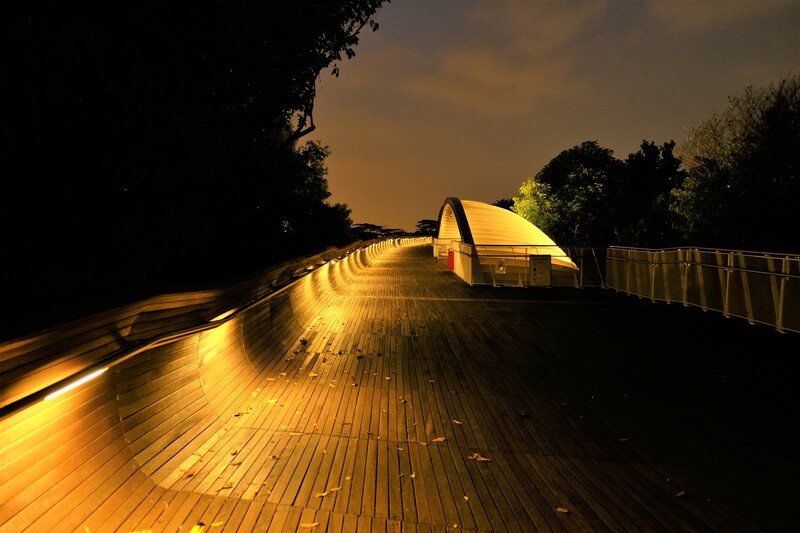 Along the way back, we chanced upon the bridge linking to Gillman Barracks, a historical army barracks now housing several arts and food establishments. We hope to visit it soon! All in all, it was a wonderful experience (especially for our legs!!). This is a side of Singapore that few people get to enjoy. 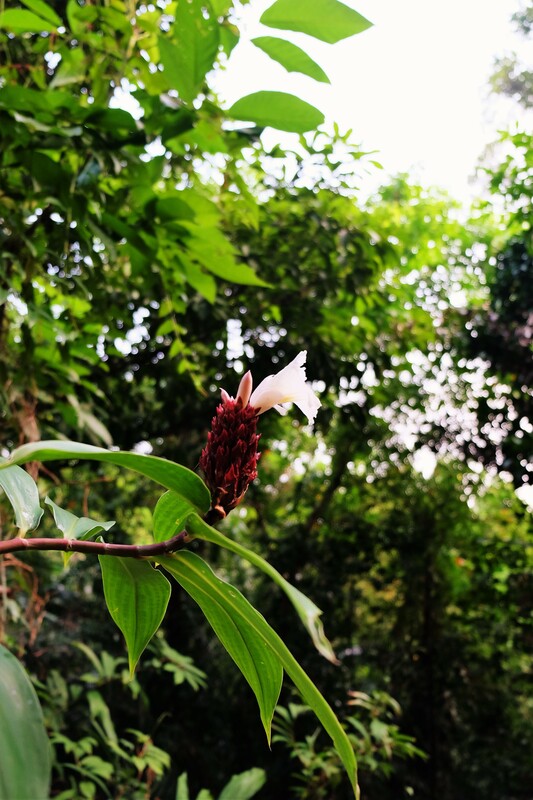 If you ever feel like setting aside your busy-ness for a day, we definitely recommend the Southern Ridges as a place to wind down and enjoy nature. We look forward to returning to some of the trails during the day, and we hope to complete the rest (the Flora Walk, HortPark and Canopy Walk) soon! Here’s the map of the Southern Ridges, which was very useful to us! Finally, we leave you with some Polaroids we took along the way! Multiple Exposure: This was taken when we were at the peak of Mount Faber where the mini-Merlion was at! Our background image was suppose to be the Merlion together with the tourists. However, the flash on our faces over-exposed the Merlion. Thus, all you’ll see are the tourists clothes on our shirts! 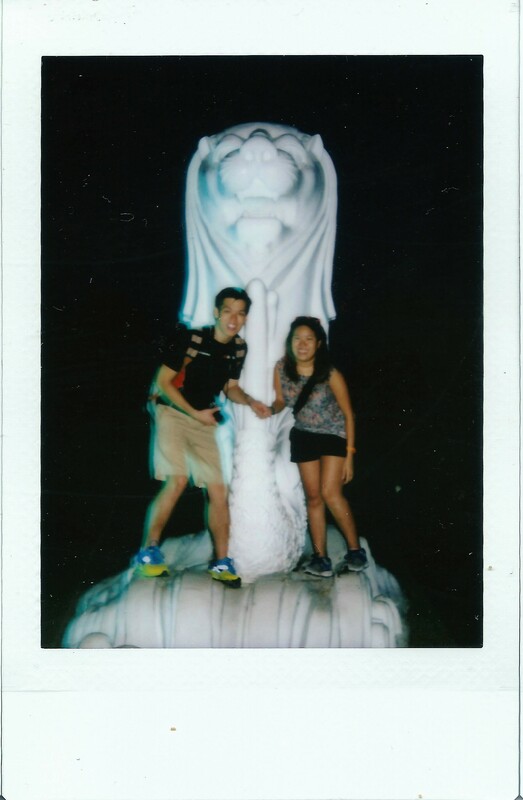 Our only photo taken with the mini-Merlion at Mount Faber! Thanks to a friendly tourist who helped us take this shot. 🙂 We also notices the ‘glow-y’ green light on the left side of the frame haha. Not sure how that came about. 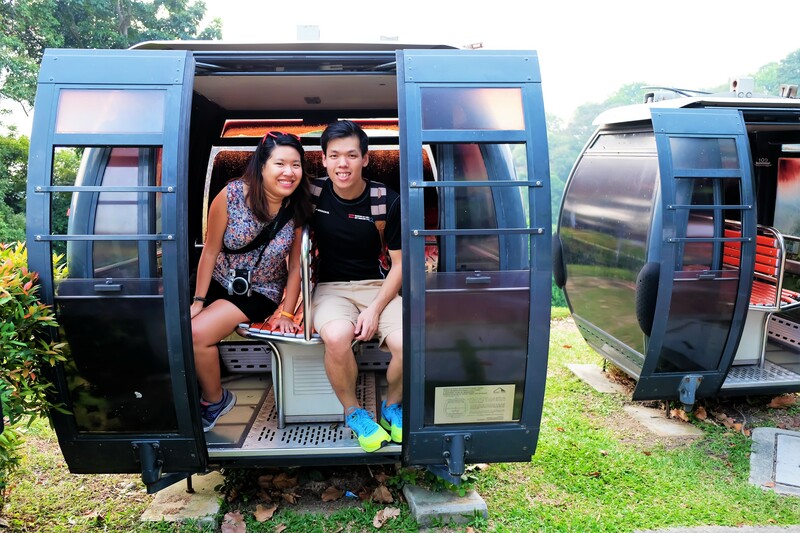 This entry was posted in Digital Photography, Fujifilm Instax Films and tagged Alexandra Arch, Faber Trail, Forest Walk, Gillman Barracks, Henderson Waves, Hilltop Walk, Marang Trail, Mount Faber, Park, Singapore. Bookmark the permalink. 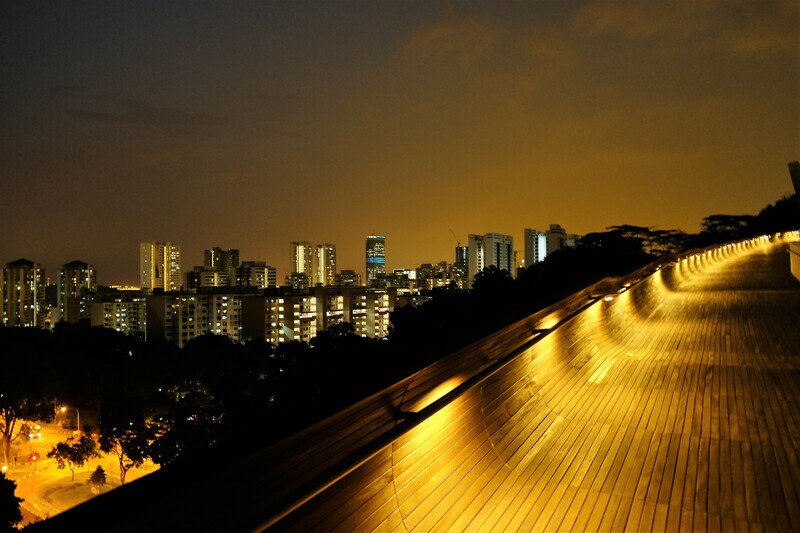 The view from mount faber from day to night time is so beautiful!!! Pingback: Hiking along the Green Corridor Trail – Damian with Sandra. 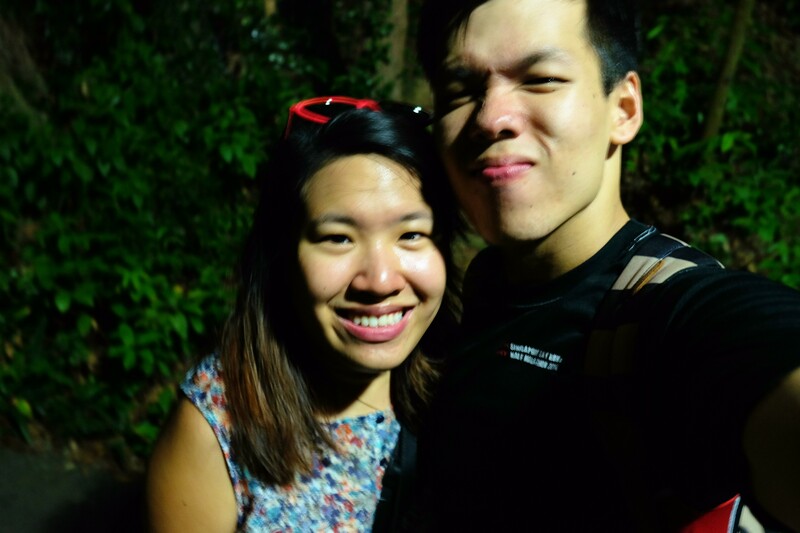 Pingback: Labrador Nature Reserve – Damian with Sandra.